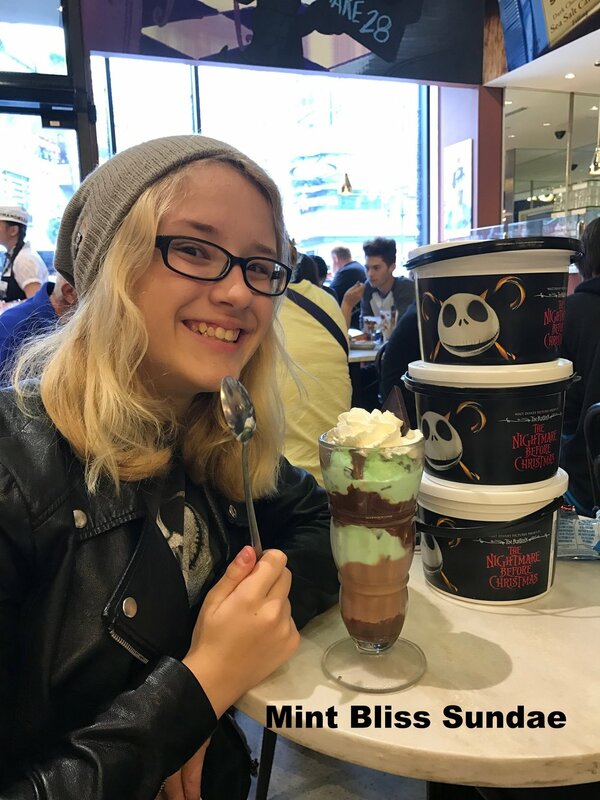 The PurdyCool gang recently journeyed to the El Capitan Theater in Hollywood to watch a 4D presentation of a favorite flick: "The Nightmare Before Christmas." After parking in the Hollywood and Highland garage (for which the El Capitan validates), we spent a few minutes perusing the "Walk of Fame" while waiting for the theater doors to open. As we settled into our front-row balcony seats, we received a surprise when a Wurlitzer organ slowly rose to the stage in front of the screen. The organist then treated us to a concert featuring both traditional Disney and Halloween tunes. 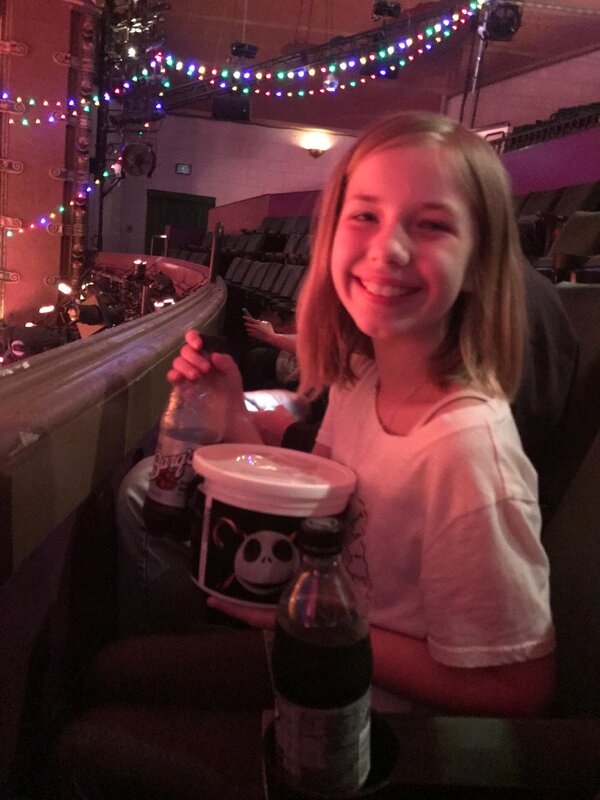 We ordered our tickets on-line and chose the VIP option that included a commemorative bucket of popcorn and a drink, so we proceeded to enjoy these while listening to the music. Of course, we all enjoyed watching one of our favorite movies on the big screen. Since we attended the earliest showing on a Thursday, the theater was not at all crowded. Thus, we did not feel too shy about singing along with the film's musical numbers. 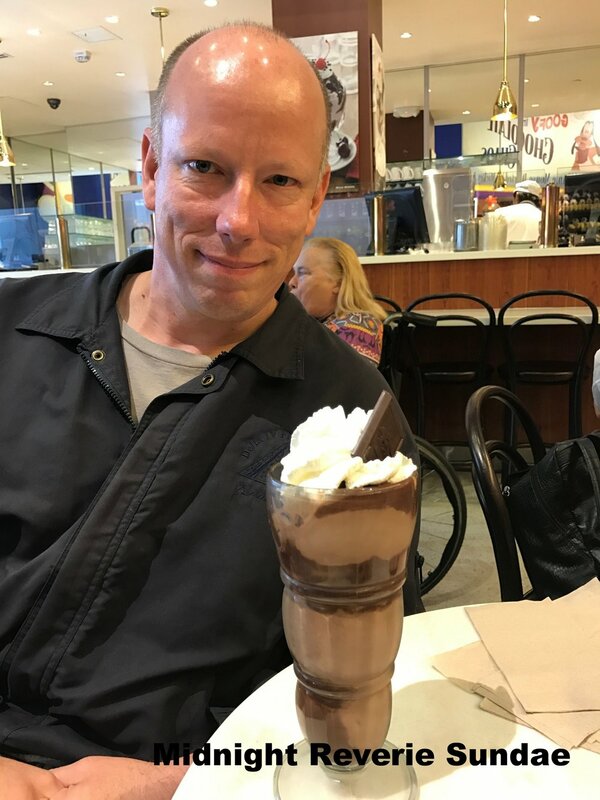 When the movie ended, we decided to follow our popcorn lunch with a treat at the Ghirardelli Soda Fountain located next door. *Midnight Reverie: Chocolate ice cream, handmade dark chocolate hot fudge, mini semisweet chocolate chips, whipped cream and an Intense Dark 72% Twilight Delight chocolate. 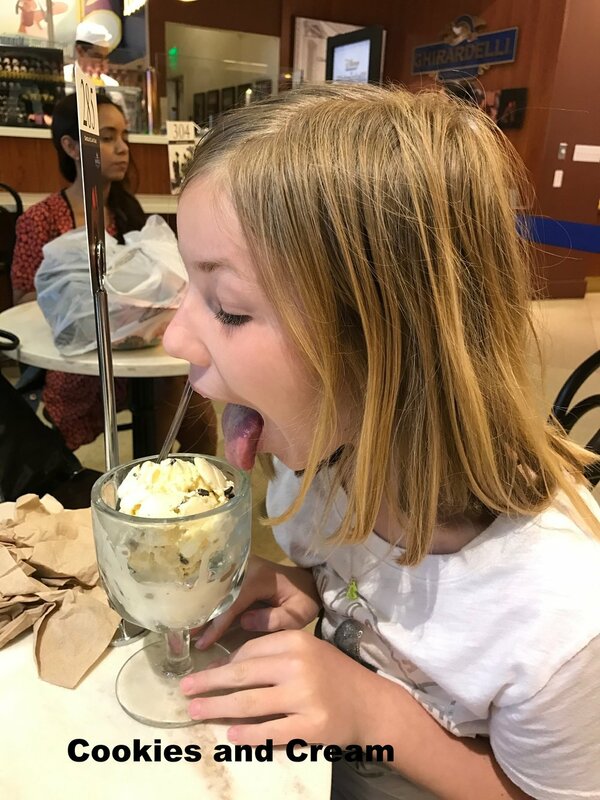 *Mint Bliss: Mint chocolate chip and chocolate ice cream, topped with handmade dark chocolate hot fudge, whipped cream and an Intense Dark 72% Twilight Delight chocolate. 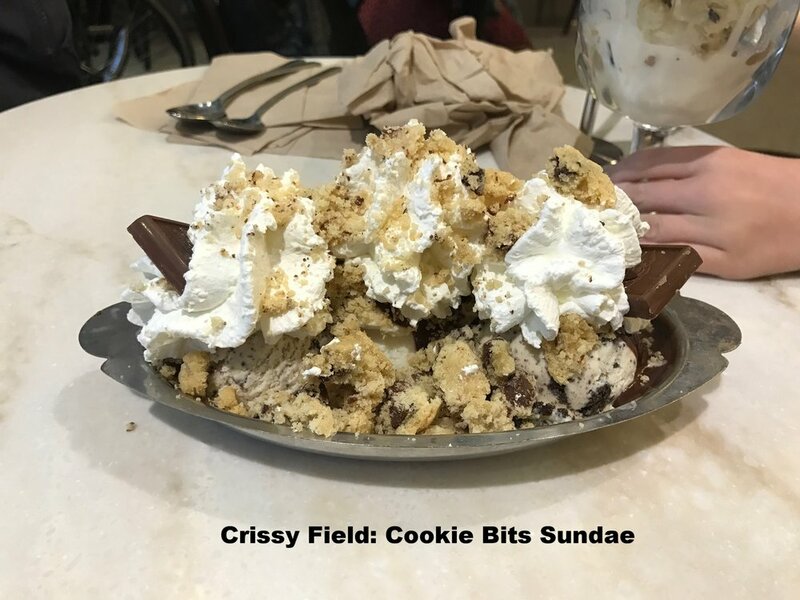 *Cookie Bits Sundae: Vanilla ice cream nestled between cookies and cream ice cream, smothered with handmade hot fudge. Topped with whipped cream, chocolate chip cookie crumbles and two milk chocolate caramel minis. After we finished our ice cream, we were stuffed and ready to go home.